Our approach to teaching means that you’ll learn advanced skills through practice and get the experience that employers are looking for. 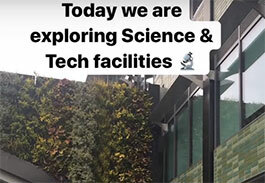 You'll be taught by lecturers who use their current industry expertise and connections to benefit you and you’ll learn in industry standard facilities. Then you'll take your skills outside the classroom for placements and real projects. 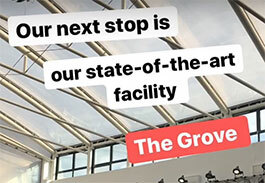 We have a single-site campus in north London with everything you need in one place. We’ve invested £200-million in our industry standard facilities from the high-tech simulators in our science building to the outstanding TV production studios in our arts centre. Our study spaces are flexible for independent study or group work. 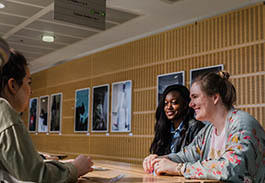 Our social spaces are set up to relax with your friends or meet with your lecturers. Then head to central London to make the most of the city - it’s less than half an hour away by tube. 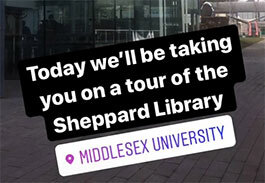 Current Middlesex students show you their favourite places to learn on campus. We teach you skills that make you employable in the real world. We show you how to demonstrate your unique value to employers. - You’ll get support to find work while you study and a job after you graduate. And our commitment to student success means that our employability support continues after graduation. Don’t just take our word for it. We’re proud to have received awards for what we do because we know that excellent teaching and research have a positive effect on your experience as a student. We were awarded a Silver in the first Teaching Excellence Framework awards. Our award recognised how we value and support teaching at Middlesex and our commitment to involving you, as a student, in how you learn. 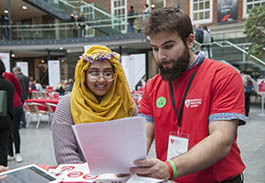 We are the third highest-ranked modern university in London in the Times and Sunday Times Good University Guide. We were commended for continuing to invest in the student experience through enhanced services and facilities. 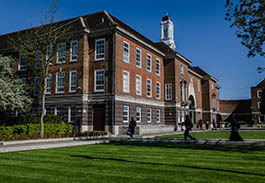 Middlesex University is also one of the top 500 universities in the world in the Times Higher Education World University Rankings. 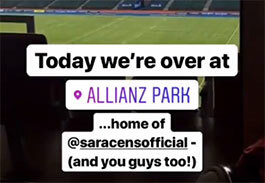 We’re open to everyone. Wherever you’re coming from, we give you the opportunity to find your own path to success. 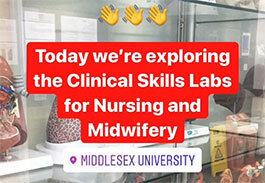 When you study with us, you’ll join our community of students from 145 different nationalities who bring their different experiences to Middlesex. You'll open your mind to new ideas and perspectives. When you leave us, you'll be ready for success in a global workplace. Our students come first at Middlesex. That’s why our teaching staff will encourage you through tough times, inside and outside your course. It's the reason we’ve got experts to show you how to write your best ever assignment as well as current students and graduates around to give extra help during class. We can also offer you counselling, financial advice and childcare in our friendly and supportive community. You'll find your passion and your people at Middlesex. Sing with the Gospel Choir, write for POW! Magazine, try Muay Thai, work with our award-winning Students’ Union or even study at one of our international campuses. You’ll make new friends and learn about their perspective on the world as well as plenty about yourself. You’ll develop skills that will be valuable for work too. Then stay connected after you graduate as a member of our global alumni community. As a Middlesex student, you’ll be proud to be part of something special. Our students, alumni and staff are innovators and champions who make outstanding contributions to the world. We’re celebrating their successes in our Made in Middlesex campaign.